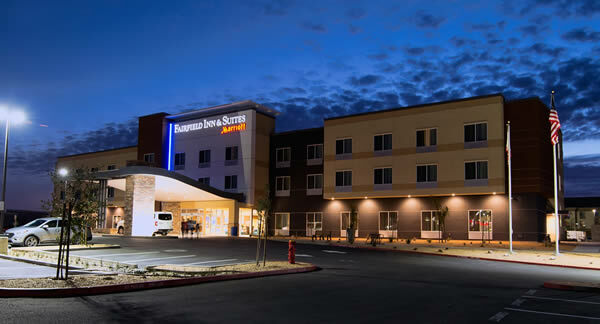 Opened March 2016, just 8 miles from Sacramento International Airport, off I-5. Travel with confidence at Fairfield Inn & Suites by Marriott® a hotel with outstanding service for an easy and comfortable stay-at an exceptional value. We are always ready to welcome you to our thoughtfully designed guest rooms and suites with plenty of room to work and relax. Free Wi-Fi throughout the hotel will keep you connected during your stay and our pool and fitness center will help you stay on track. Spread out in our vibrant lobby, with spaces to gather, relax and work. And jump-start each day with our free breakfast, now with more hot choices like scrambled eggs, sausage and oatmeal, plus favorites including fresh fruit and yogurt. With 24 hours advanced notice our complimentary shuttle can drop and pick you up from the Airport. For long term parking up to 14 days, please book our Park Here & Fly There Package by calling the hotel directly. Looking for wedding reception venue or to host your special events, our spacious and state-of-the-art Event Center is the place for you.